I have been raising rabbits for the past 20 years. 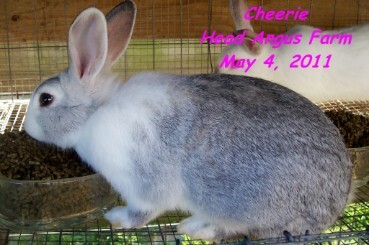 I have showed rabbits in the past through American Rabbit Breeders Association shows. I currently do not raise purebred or pedigree stock. I do have a lot of friends who does show rabbits so if your looking for a certain breed I will be glad to help you out. The rabbits I am currently raising are considered a medium size meat rabbit. They make great pets or meat rabbits. I am NOT against selling rabbits that will be used for butchering. What you do with your bunny is at your own discretion. I only sell healthy sane bunnies.